Penske Rapid Repair offers paintless dent removal as an alternative to costly and unnecessary conventional body shop repairs. Paintless dent removal is widely recognized by the insurance industry as a preferred repair due to the cost savings coupled with maintaining the factory finish on an automobile. Paintless dent removal saves time and money. Paintless Dent Repair is offered both at the dealership and at your home or office. Our Mobile Services are FREE!! Our service is provided by our Trusted, Dent Repair Experts. 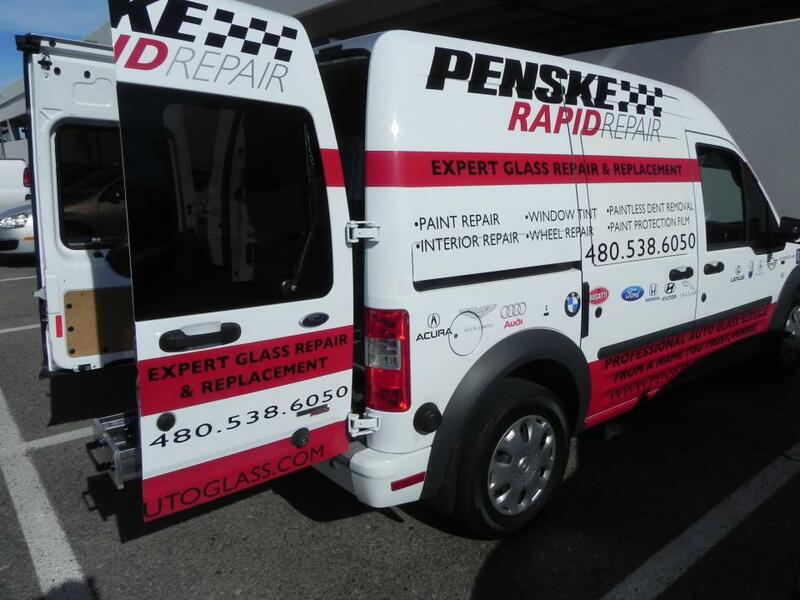 Penske Rapid Repair offers many valuable and time saving mobile services that compliment your dent repair that we can provide the same day on the same appointment. Results comparable to auto body shops for a lot less money. Please call us directly at 480-295-7210, or contact your service adviser to schedule an appointment.